A charcoal drawing of John Ruskin, one of the greatest art critics that have ever lived, a beautiful draughtsman, an odd individual, and "star" of many 'urban myths'. The drawing is of a marble statue in The Ashmolean Museum in my previous home city of Oxford. One of the lovely things about the museum, which is owned by the University of Oxford, is that they positively encourage drawing in the galleries (although after their recent renovation only pencil is allowed due to the flooring). 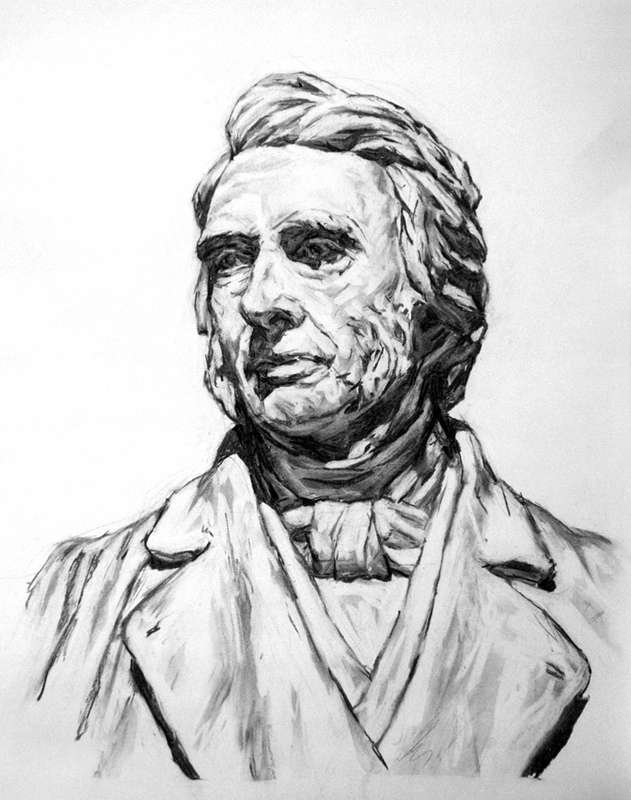 Ruskin taught at the University of Oxford where he was appointed the first Slade Professor of Fine Art in 1869 (off-and-on until 1884), and where he established the Ruskin School of Drawing. He was also a huge supporter of education for all and wrote widely. His legacy is vast, and via his works has greatly influenced Western visual culture... no critic since has exerted such influence.